The Academy recently announced its Oscar nominations. At IDA, Oscar season means that we are in high gear planning for DocuDay LA, our annual day-long marathon screening of nominated films. If you have not been, DocuDay LA is IDA’s longest-running signature event, since 1983! 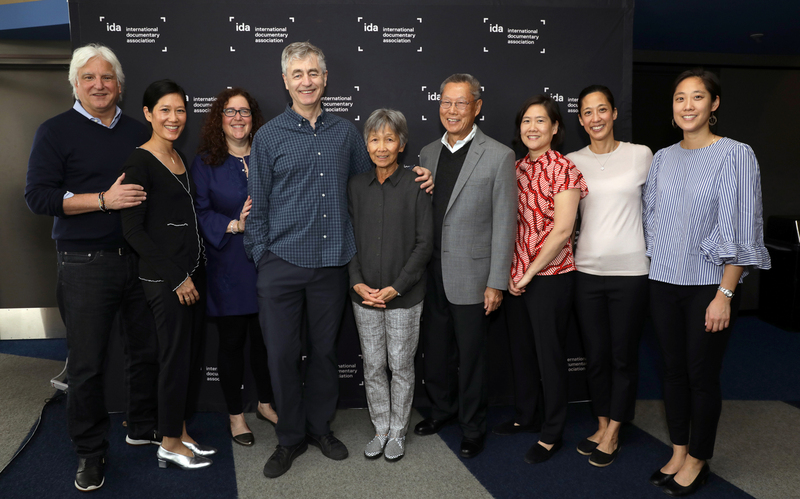 Our loyal fans take the annual pilgrimage from all over North America to see the year’s most powerful films, hear from the key creatives who made them, and gain insight into the anatomy of an Oscar-nominated documentary. Whether you are a doc-maker yourself, or simply love documentaries, the event is a truly inspiring day for all. There are two main ticket options: a full-day pass and individual film tickets. The pass is definitely your best bet. Why miss out on any of the fun? As a bonus, IDA members receive 12% off and student members receive 25% off of all ticket types. If you are joining us for the full day, remember to dress for the occasion. You will be mostly seated for up to 12 hours. As always, food options will be available for purchase. As a bonus, complimentary snacks and refreshments will be offered at the theater to enjoy between screenings. Stop by the KIND and Purity Organics tables for a quick pick-me-up. The post-film Q&As with each film’s key creatives very often feature a surprise visit from the star subject(s). In 2018, the entire Sung family of Abacus, as well as the heroines from Heroin(e), made an appearance. 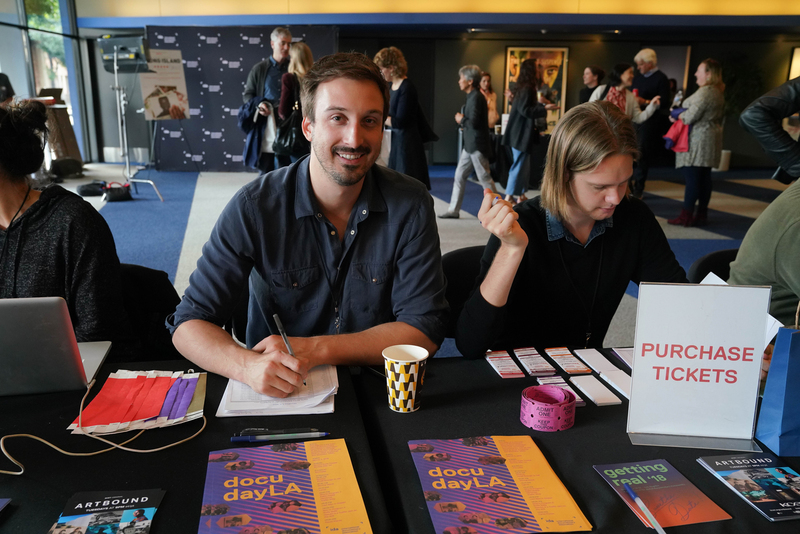 Share your most memorable moments and quotes of the day with us on social media with official event hashtag #DocuDayLA. Did you know that IDA has a roster of more than 350 volunteers? These dedicated individuals are the lifeblood of our organization. We could not do what we do without them. If you'd like to become an IDA volunteer visit https://www.documentary.org/volunteer. 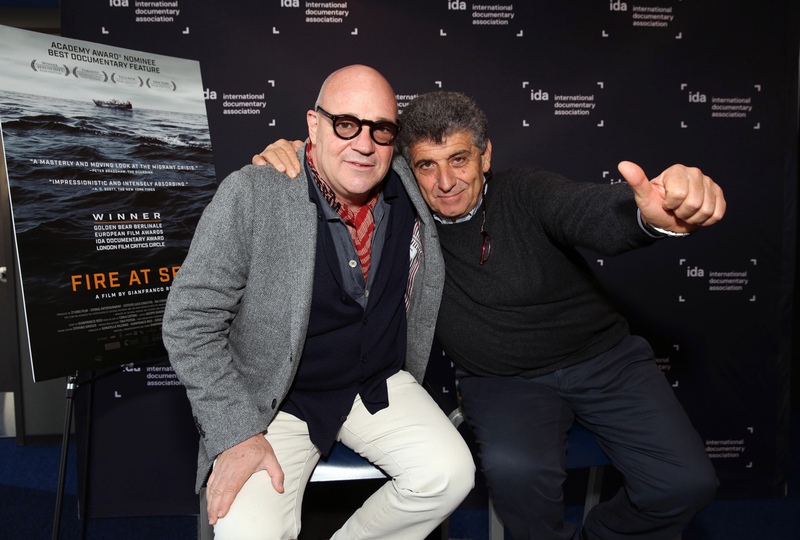 DocuDay participants receive a raffle ticket at each screening for our signed poster giveaway between showings. Make sure you keep your raffle tickets in a safe place throughout the day.